Thanks for all of your entries. We love our pets and treat them as a part of our families. So we were wondering are TapeSwell's fans more into dogs or cats? Here's our new giveaway. Write if you are a cat or a dog person. Feel free to share a funny story about your pets. What do you like most about him? What is her personality like? 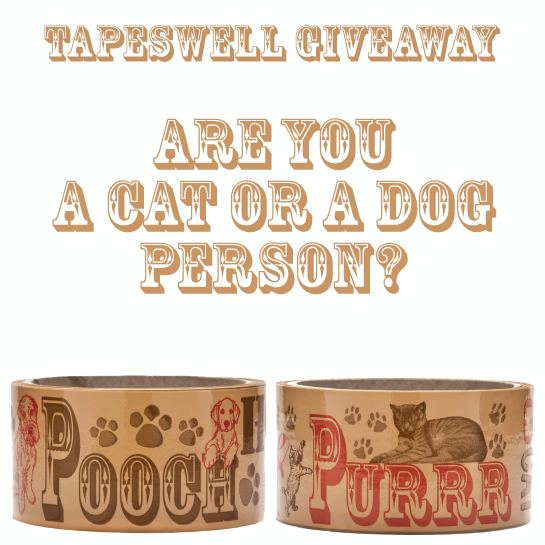 Write a comment below for a chance to win a roll of Cat Nap or Dog Walk Decorative Packing Tape. and let your friends know for more chances to win. The giveaway is open until May 25, 2011 at 5 pm. The results will be up on May 26. Catherine, the new Duchess of Cambridge, reinforced the do-it-yourself wedding trend by doing her own make-up for the recent Royal Wedding. But why stop there? In the next few weeks we will share more damask wedding ideas made with TapeSwell's damask tape. These damask place cards created with our black damask tape and personalized for each guest can add that extra attention to detail that will make your special day more memorable. 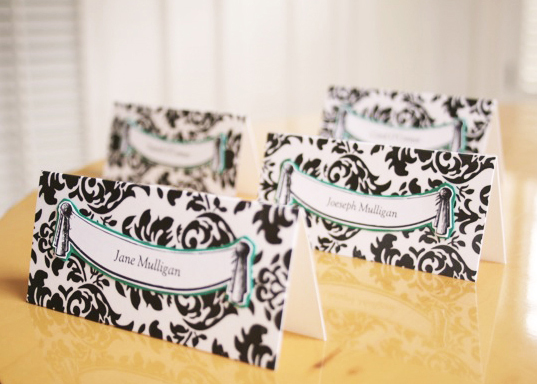 Simple and easy to create black and white damask place cards can add style and elegance to any special occasion really.